Edit: As of the 10/13/17 we have filled all available spaces at this camp. We’re very proud to announce that we have 50 people attending this amazing event, the first of its kind in Australia. If you missed out on this event, we strongly recommend registering so that you can stay up to date with all the latest events near you. 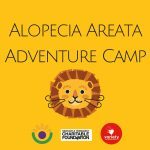 The Australia Alopecia Areata Foundation and Variety – the Children’s Charity are proud to announce the first ever Alopecia Areata Adventure Camp, generously supported by Newcastle Permanent Charitable Foundation. 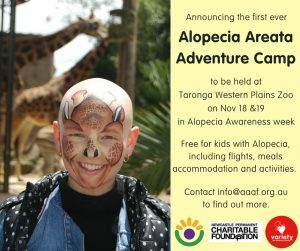 This weekend of adventure will be hosted on November 18-19 at Taronga Western Plains Zoo in Dubbo, Central NSW and is free for kids with alopecia. This includes flights, meals, accommodation and activities. However, spots are strictly limited. Attendees can be from anywhere in Australia and aged between 5-18. A deposit must be made to secure a place at the camp, but this is fully refundable. Parents are able to join their child at the camp, but must pay their own way. 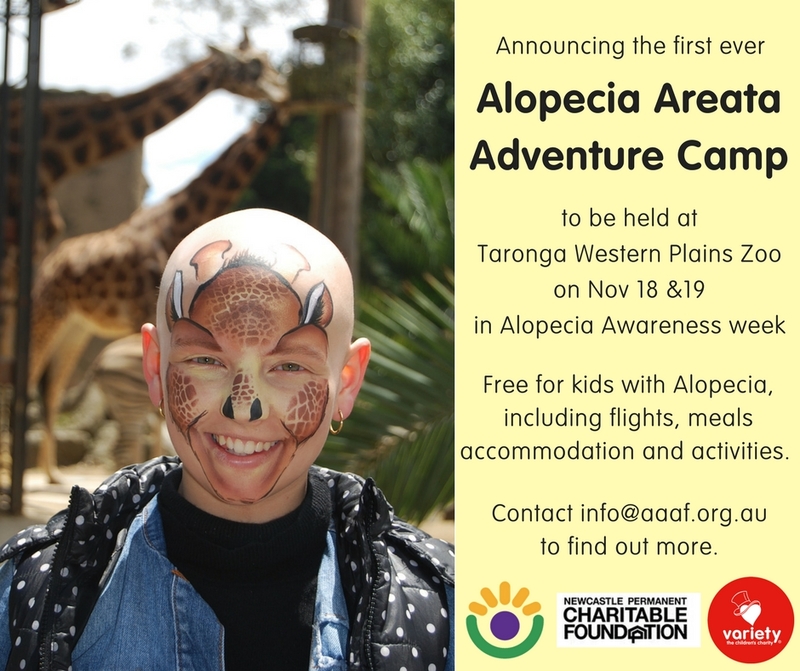 The Alopecia Areata Adventure Camp will be a fantastic opportunity for kids living with Alopecia to make friends, learn about the condition and – most importantly – have a very fun time. We only have 26 spots available, so if you’d like to join us on this adventure, email info@aaaf.org.au to request an information pack. RSVP’s needed before the 25th of August. Click here to download the Alopecia Areata Adventure Camp information flyer.